Marketers who are aiming to target the young audience and users of social media platforms, they cannot miss Snapchat app. The core audience of Snapchat is in the age group of 13 and 25. The Snapchat Videos are the primary type of content on Snapchat and thus is an excellent opportunity to use it to get maximum benefit for the marketing campaigns. Snapchat introduced many new features which include the group video chat. With this feature, it is possible for 16 friends to talk to each other simultaneously. Up to 32 friends can join group voice chat. One to one voice and video calling was introduced by Snapchat two years ago. To use the new video group chats feature, the user has to enter a group chat that is existing or start a new group. Voice calls or video calls can make by tapping the video icon or the phone icon to start the conversation. The group members about the call receive notice. This feature also supports filters. Users can decide whether to join with audio only or respond with text chat messages. This feature helps to keep the users engaged for the longest time. Group video chat feature also helps to compete with other chat apps such as Facebook Messenger. Snapchat posts usually disappear after they viewed. Saving the Snapchat Videos of one’s own is easy. Just save the video before it sent to the friends. It can also save from the Stories tab. It is not easy to save the video posted by others. There is no built-in feature to save the photos and videos of others. A screenshot or a recording of the video using the built-in screen recording will send a notification by Snapchat to others who posted it. Few Android screencast apps let you record the video in Snapchat. Another option is to use a smartphone or a tablet or a digital camcorder to record the video. This way the picture and sound quality will be very less. Many apps claim to help you to save the videos of Snapchat, but Snapchat warns not to give your login credentials to other apps as the user may become a target of the hackers. Snapchat Story is an essential feature. A collection of photos and videos can display for about 24 hours. Use the Story Replies feature to increase the user engagement. Video marketers can get feedback on their campaigns. Give exclusive promotional offers to followers. Host flash sales. Mention promo codes in your Videos. Spread the word of the new product launch with demographics. Show the behind the scenes videos of manufacturing process or workspace environments. Video marketers can track the metrics such as some views for their story, some screenshots, etc. to check how the video marketing campaign performed. Snapchat can use in a lot of ways for video marketing. The video feature can be used to record launching, events, social events, trade shows, etc. Provide unique content to your followers by showing them the video of behind the scenes. The marketing video for Snapchat should not be more than ten seconds though back to back videos up to 60 seconds can be posted. The first snap video should be able to engage the viewers. Use 18:9 aspect ratios so that the users can watch the videos keeping the phone vertical. Video marketers on Snapchat should follow the beginning, middle and end structure to create a clear and engaging video. It is possible to add graphics also to make the video more catchy. Marketers can creatively differentiate their videos and make it entertaining and engage to the audience. The true essence of the brand can pass on instead of the usual best and right content. Before choosing Snapchat for video marketing, make sure that it fits the brand and message, and also you have the target audience on the platform so that the right message reaches the right audience. Snapchat has more than three hundred million monthly active users and more than 187 million daily active users. Eighteen percent of US social media users use Snapchat. More than one million photos and videos are uploaded to Snapchat every day. More than ten billion video views are received by Snapchat every day. 37% of marketers on Snapchat are using video as part of their marketing strategy. 55% of Snapchat users watch brand videos on this platform every day. Studies also revealed that 31% of the consumers are saying that video on Snapchat is influenced them to make a purchase. 22% of the consumers are engaging with branded marketing videos in the form of sharing, liking or commenting every day. 27% of the marketers who use Snapchat Videos says that this is a valid strategy to reach consumers and to increase sales. Snapchat offers excellent marketing potential especially to target teen and young adult audience. Studies proved that there are high chances of these users buying a product or service if a coupon offered to them via Snapchat. The app is redefining the rules of online marketing. 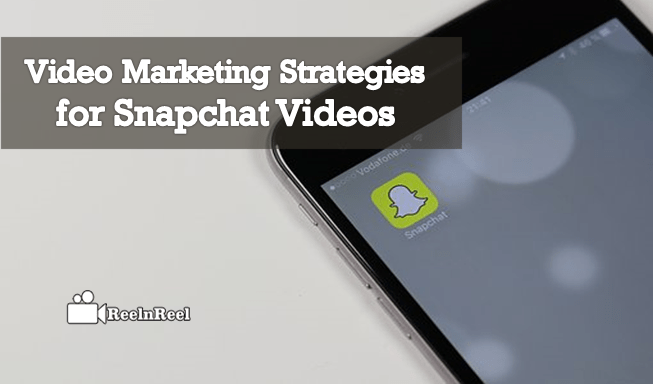 Snapchat Stories is an exciting resource that can use for different marketing campaigns. How 360 Degree VR Videos Will Transform The Real Estate Industry?